Immediately after reaching an agreement agreed between the two parties, on August 3, 2011, IBS Vietnam Company officially signed a contract to install the Gas system (including gas pipelines, gas valves, and equipment). Helped Gas safety) worth nearly 77 million VND, construction at Lot A1, Road No. 2, Nhut Chanh Industrial Park, Ben Luc, Long An. 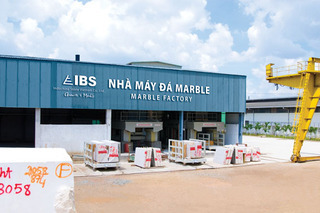 After handing over and commissioning the project, IBS is very pleased with the quality of construction provided by Toan Phat, once again affirming its professionalism, efficiency, and meeting the quality standards of the team Toan Phat company employees.